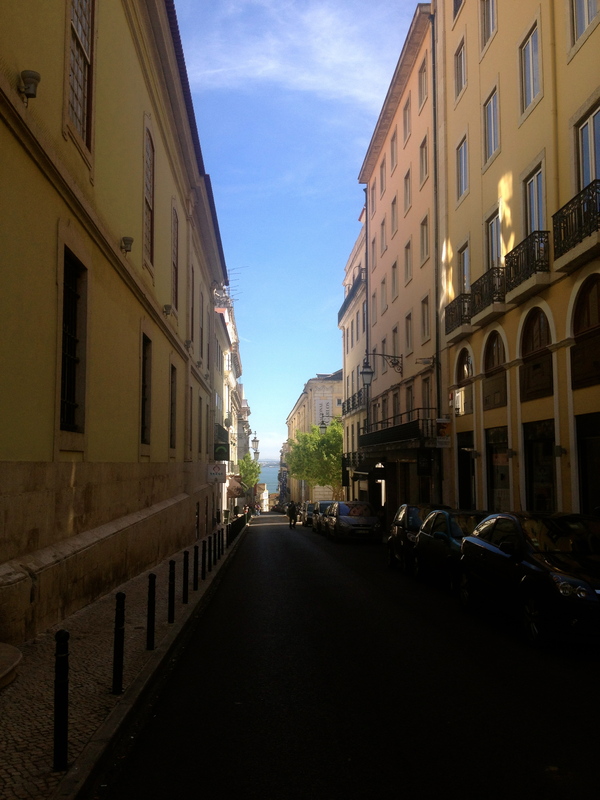 Lisbon, you got me. 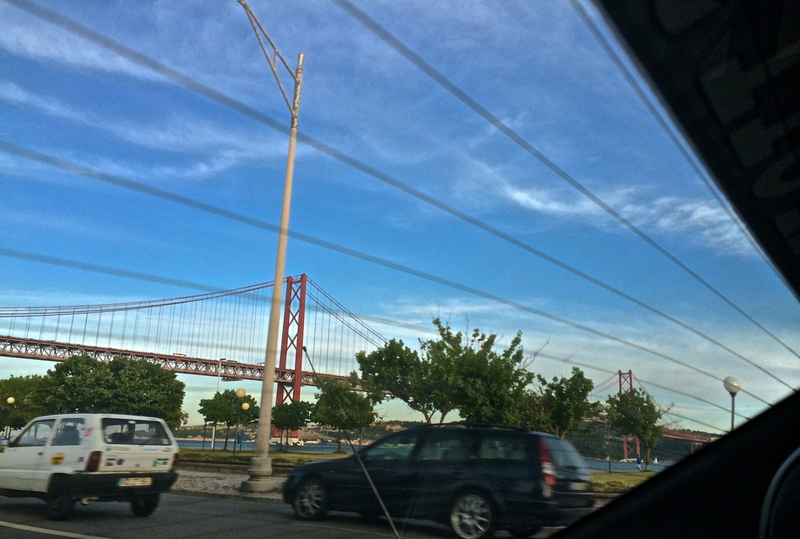 I felt an excitement, like that of a child going to Disneyland for the first time, on our way to the airport for my first visit to beautiful Lisbon. It was everything I expected it to be. The old charm, colorful cityscape, narrow and curvy streets, the sunshine beating down on the city, the warm nights, the delicious food… and lets not forget the Golden Gate Bridge! 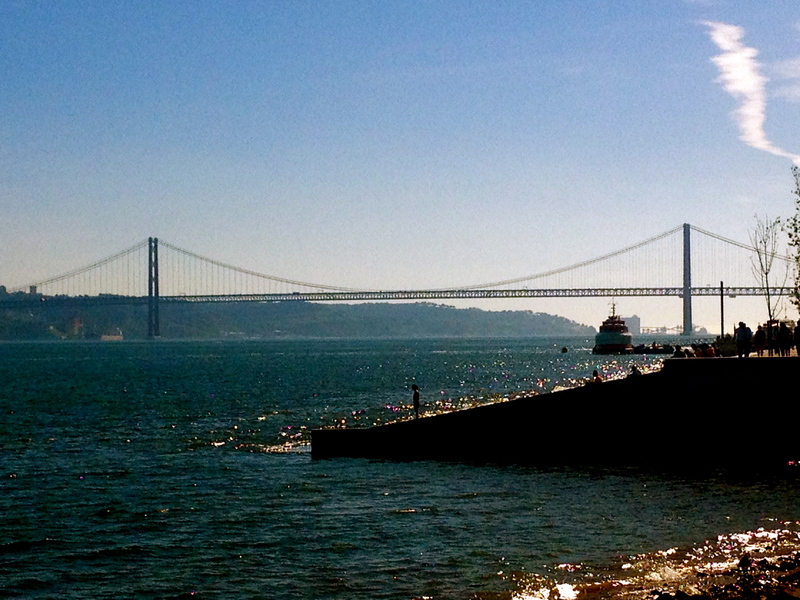 I had no idea that there was a replica built across the world, Ponte 25 de Abril. The funny part about this is Daniel mentioned it on the flight, however, when I am on a plane its like putting a baby in a car for a quick ride around the block to get them to sleep, so I half remember this conversation. To my surprise I see this reddish orange structure and I suddenly feel like I am in San Francisco. On one end it even looks like the cars are driving into the hills of Marin, minus the cross on the top of the mountain. 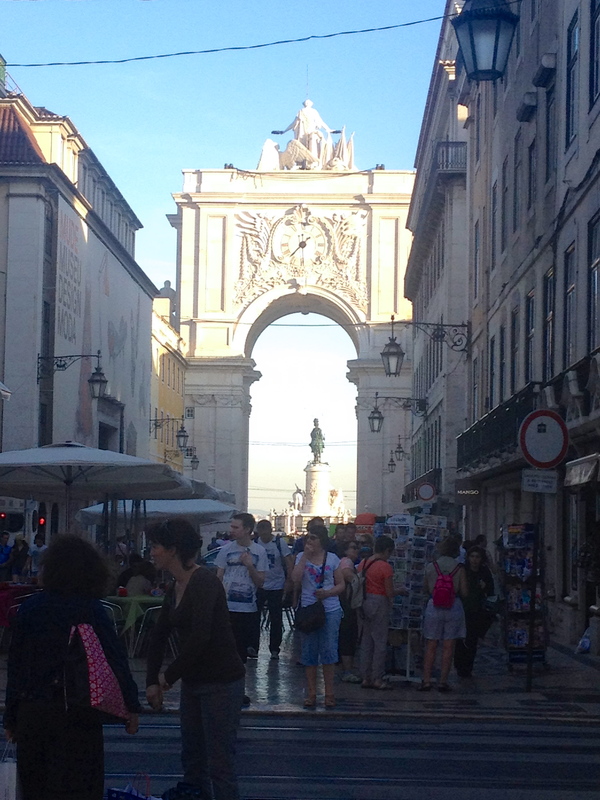 I felt right at home, until I turned around and saw the Rua Augusta Arch. The city is much bigger than I had expected it to be with many hills, another San Francisco trait. 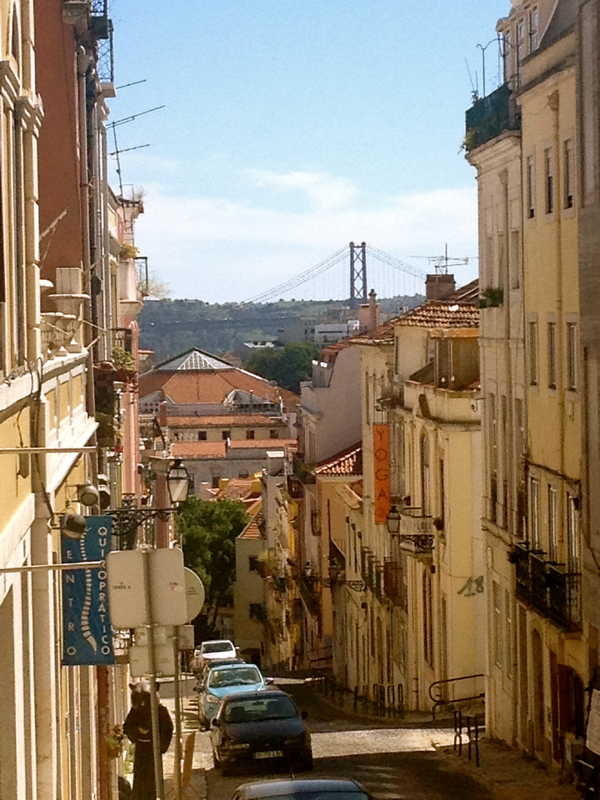 You can see so many spectacular views from the high points of the city as you are walking through. Should you have no desire to climb these steep hills there are trolleys throughout the city to take you around. And again I realize another similarity to San Francisco. Maybe this is why I felt so comfortable in this city so far away from the place that I called home for 36 years. 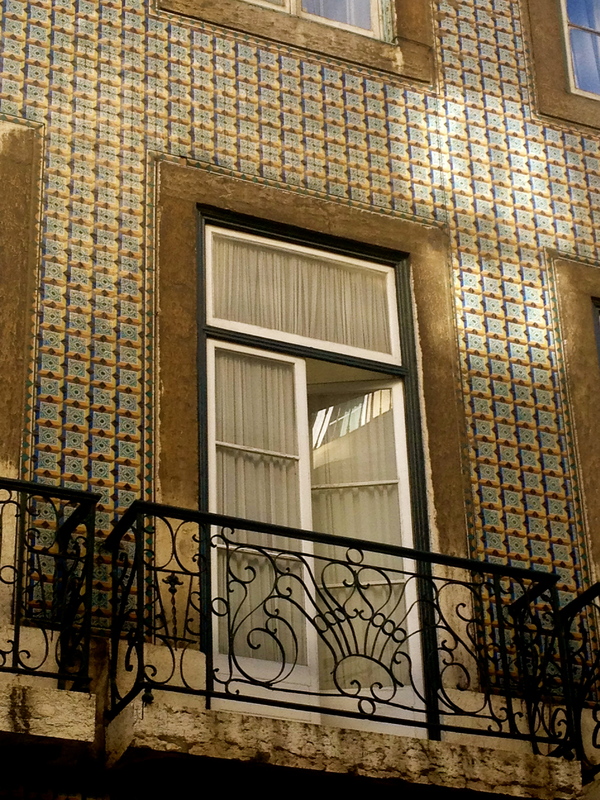 Azulejos are ceramic tiles used on the interior and exterior of churches, houses, restaurants, bars and even subway stations. They are applied on walls, floors and even ceilings. Not only were they used as decorative, ornament art, but it also served a purpose for temperature control. These people were ahead of their time on the “going green” initiative. 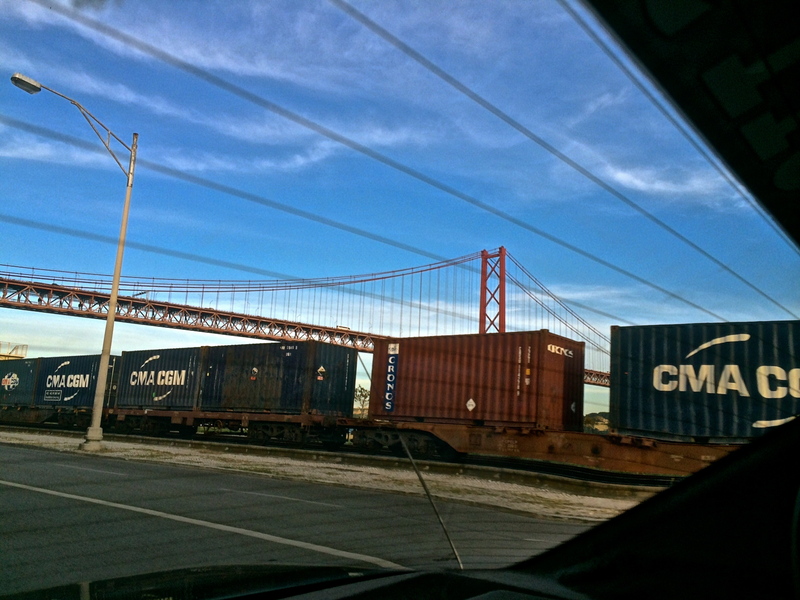 The Ponte de 25 Abril was built in 1966 by the American Bridge Company which constructed the San Francisco-Oakland Bay Bridge, but not the Golden Gate. 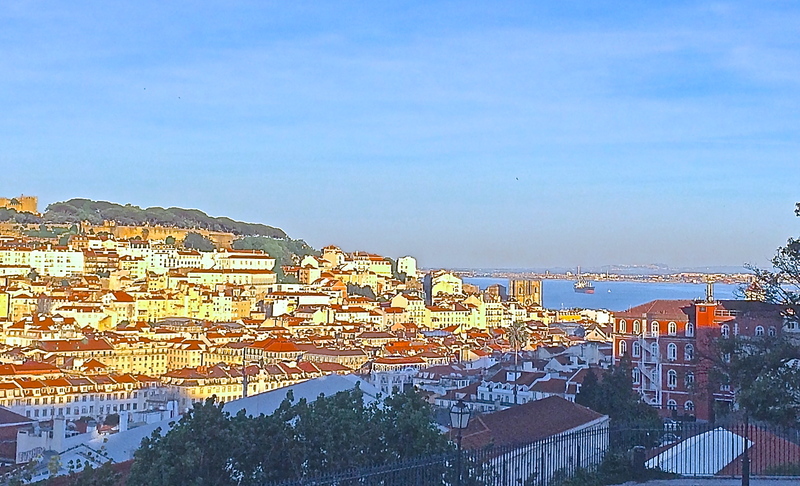 It was originally named after the dictator Salazar, but then changed its name after the revolution of April 25, 1974, Ponte 25 Abril. 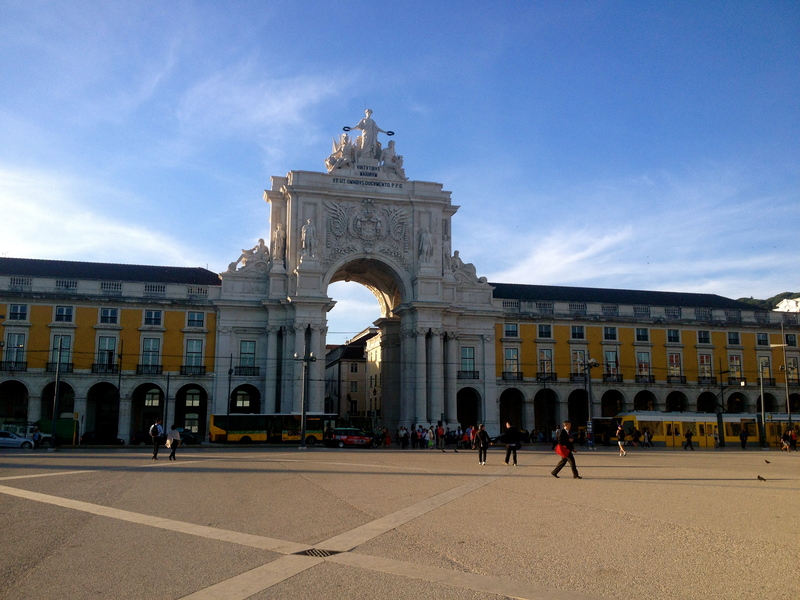 The Rua Augusta Arch is a historical site built to commemorate the reconstruction of the city after the earthquake of 1755. 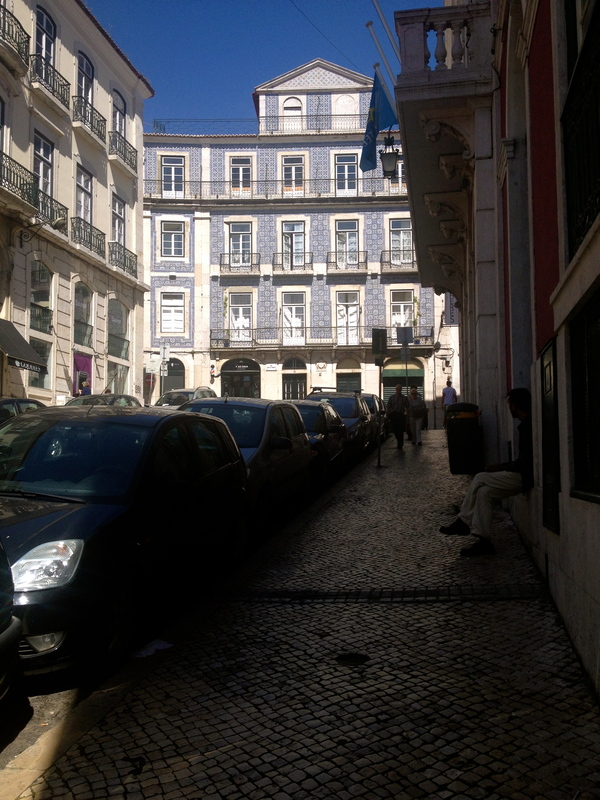 As you pass through the arch a vibrant pedestrian rode opens up with cafes, restaurants and shops. 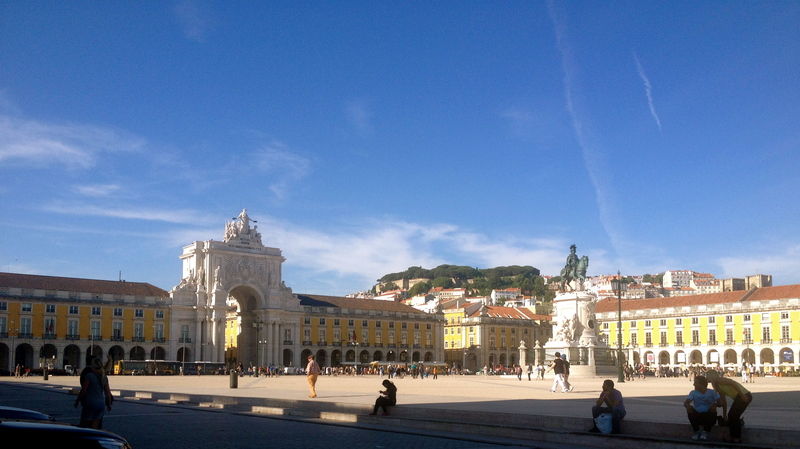 Since the 1998 World Expo this has become a commercial and residential area and is one of the newest areas of Lisbon. 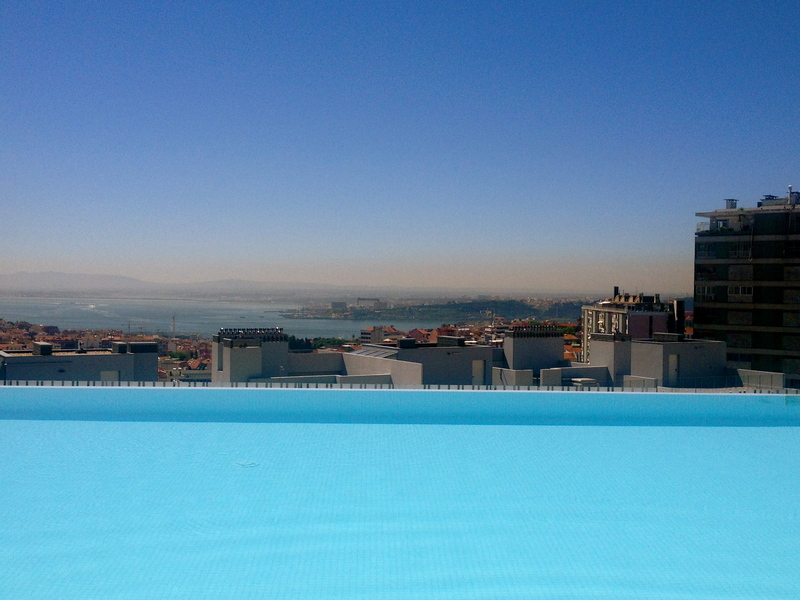 View from rooftop infinity pool at the EPIC Sana Lisboa Hotel. If you like to walk this is a great place to stay since you will be trekking up hills most of the way. The hotel itself is beautiful and modern with an amazing spa, an indoor pool with a relaxation area that can be used by all guests, and most importantly the rooftop infinity pool that you see here. 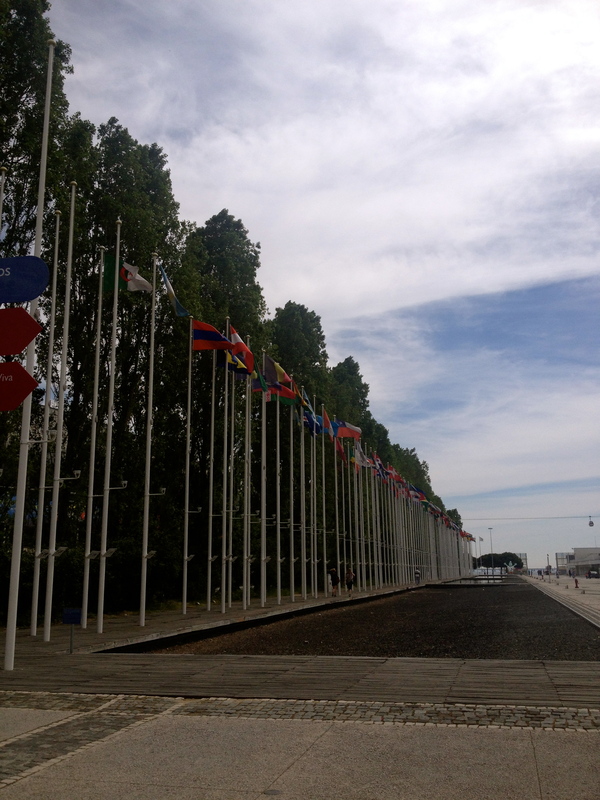 The service is outstanding as the staff is as attentive as can be.